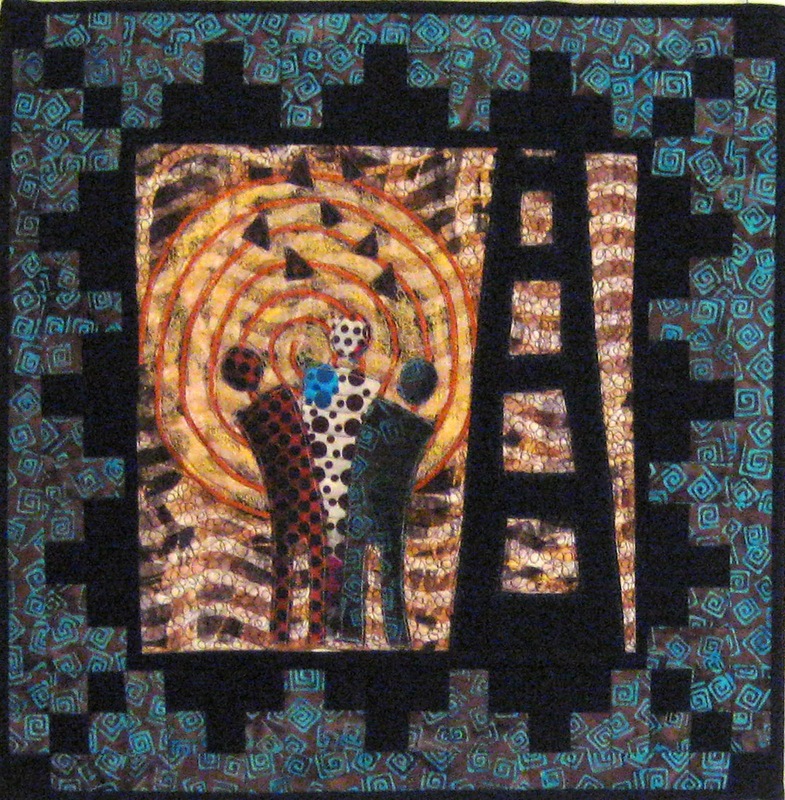 This quilt has bleach discharge techniques on batik, thread painting, ink dyes, raw edge appliqué, chenille embellishment, and is bordered with traditional piecing. The theme of the quilt is upward motion uniting with a higher source and the flurry of tiny triangles at the top represent angels. Have not found the perfect title for it yet! 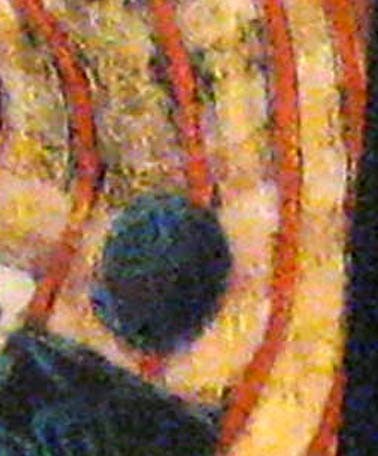 It is one of a series of three. Love this. I wish the maker had given a description . Hurrah, the description has arrived. Thank you.